10 foods to fall in love with - Well- being Tips| Nutritionize! The leaves are beginning to change colors and so are our fruits and veggies. Delicate greens are replaced with thick- skinned orange gourds. All of nature is settling into the fall and nourishing the body and mind with seasonal foods that not only taste delicious but provide nutrients to survive and thrive during this time. Here are 10 foods you want to add to your grocery list and why. Apples: not only do they make for delicious pies they are packed full with antioxidants and are a source of dietary fiber. Brussels sprouts: these little guys are slightly bitter in taste and a great source of vitamin K, folate, and iron. Parsnips: Often overlooked but this fall food is a great addition to soups and stews while providing potassium and fiber. Cauliflower: One of my favorite Indian dishes (gobi) is made with this textured veggie. It has cancer fighting agents, phytonutrients, and vitamin C.
Winter squash: This thick skinned gourd can be stored for months and tastes great grilled, stewed, or baked. It has Omega 3 fatty acids, and Vitamin A. Sweet Potato: Another one of my favorites (love these fries!). Benefits include vitamin A, iron, and anti inflammatory agents. Pomegranates: These seeds of these beautiful red rounds take patience to get out but once the seeds are harvested add a bit of salt and enjoy. All the while getting a dose of antioxidants, Vitamin C, and folate. Dates: A great alternative to soothe the sweet tooth while getting some fiber and potassium in the body. Celery: Add some spice to any dish. I like sautéing some and adding it to my scrambled eggs for a kick. Benefits include antioxidants, and anti inflammatory agents supporting the digestive tract. Persimmon: I saved the best for last, my favorite fall fruit. I like the hard crunchy one that resembles an apple. Rich in minerals like phosphorus and calcium and vitamins A and C.
This list is a small slice of what to expect in your local farmers markets this season. These foods not only provide the nutrients mentioned but are also warming and grounding in character. As it begins to get cold outside creating warmth inside keeps the body and mind in balance. In addition to these foods eliminate cold (iced) beverages, drink warmer liquids like teas and room temperature water and add warming spices such as ginger, cardamom, cinnamon, nutmeg and horseradish to cooking. A great way to see what this fall season has to offer is by shopping local and purchasing from farmers that can give you insight into the food you’re buying and putting into your body. 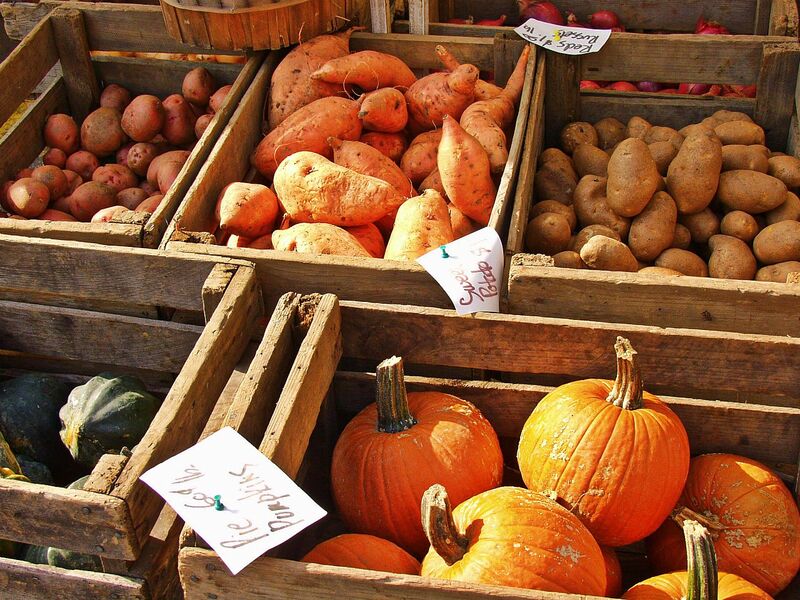 What’s your favorite fall food and why? Post to comments….